that we are able to run the day smoothly and successfully. telephone number and riding ability, so we can group as such. Also if senior or junior. All details along with cheque made payable to “BRC Area 16”, by the 30th October. To Lynne Mellers, 14, Millers Dale, North Hykeham, Lincoln.LN6 8LH. times of 10am and 7pm only please. There will be first aid and catering on site. Any queries please contact Lynne Mellers – Training officer for BRC. 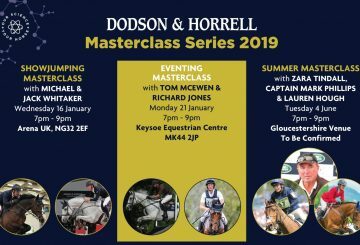 The Dodson & Horrell Masterclass is back!